The Solar Sail is the ideal solution to allow you to enjoy time outside, without exposing yourself to too much sun. Made from Tencate material, sails can be put up with poles and guy ropes, or even attached to buildings. 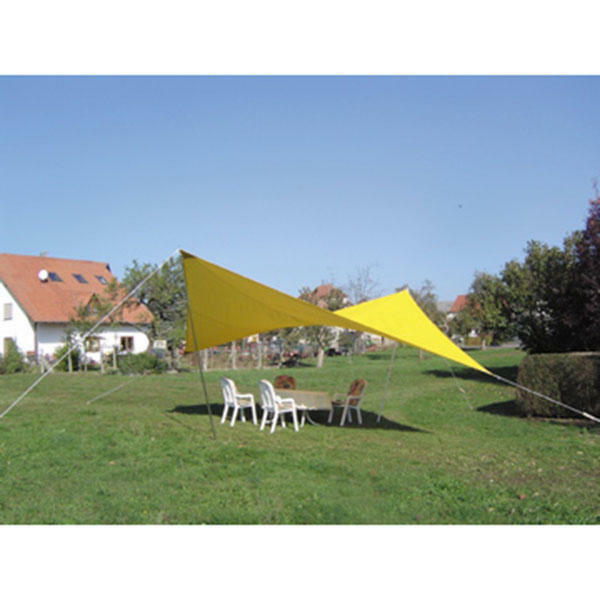 This colourful sail will not only make a stunning addition to any campsite, but its acrylic coating makes it totally waterproof too. Available in three sizes and six colours - please select from the drop-down menu.